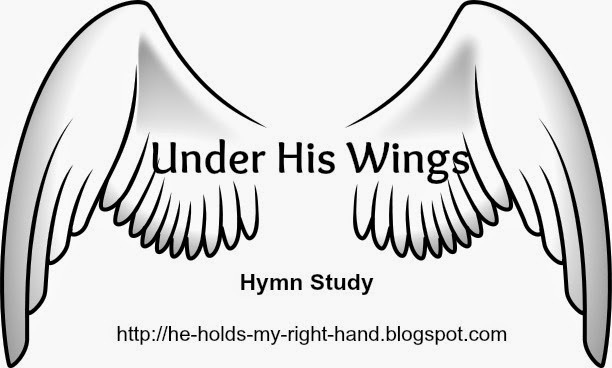 I have started going through various hymns for some of my quiet times with the Lord. I know, in these days, hymns are considered old-fashioned and outdated by some; but, if you take a closer look at them, you will see how full and rich they are of words that comfort, encourage, strengthen, worship, praise, and bless the soul. Be encouraged today, knowing that in your fear, worry or distress, you can run under the Lord's wings for refuge and strength. This was very encouraging. What a beautiful hymn. It amazes me the great hymn writers through the years of what they faced...and through it a beautiful song comes forth.